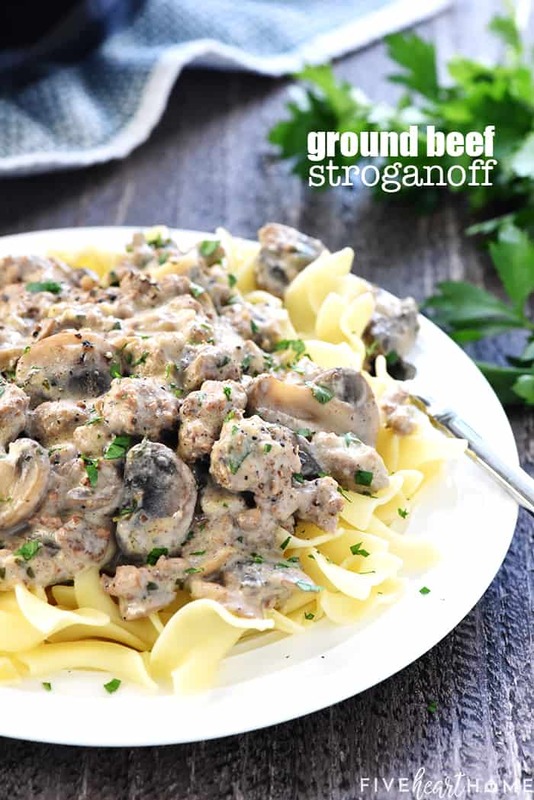 Ground Beef Stroganoff is a delicious, quick and easy version of the classic, loaded with garlicky mushrooms and finished off with a silky sour cream sauce! Y’all…it’s finally feeling like FALL! Last night dropped into the 50s and today is not expected to top the 70s. And would you just listen to the sound of all those Texas ladies whipping out their UGGs — ha (or not really). At any rate, bring on the comfort food! I must have known the dipping temps were coming. Because last week — when it was still in the 90s, mind you — I was already craving Beef Stroganoff. But I didn’t have any beef roast or stew meat to put it together, and I didn’t have time to run to the grocery store. However, what do I always have on hand??? Ground beef! So based on the popularity of another classic recipe that I adapted to use ground beef — Ground Beef and Broccoli — I decided to give a hamburger meat version of stroganoff a whirl. 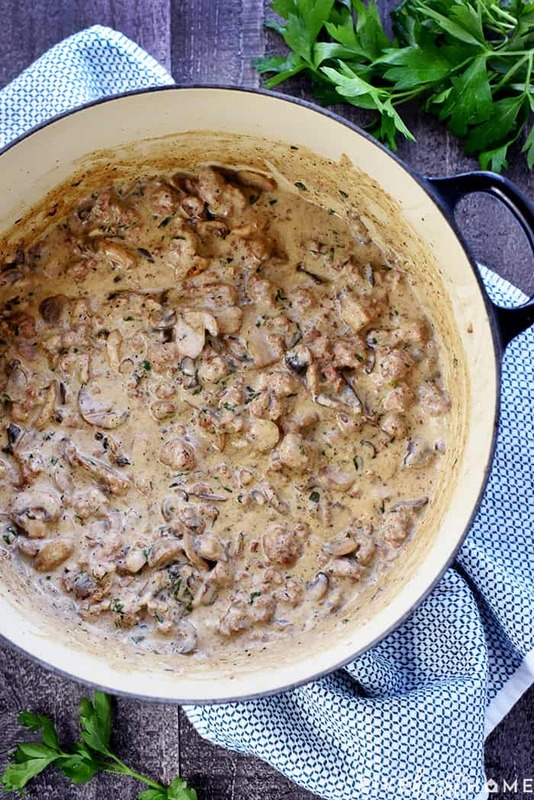 And oh my goodness, y’all…this Ground Beef Stroganoff turned out sooooo good! Seriously. Loaded with yummy ground beef and oodles of mushrooms, it’s both hearty and filling. But in addition to being a stick-to-your-ribs kind of dinner, the creamy sauce is good enough to drink and the overall flavor of the dish is out of this world. My mushroom-averse kids even ate the mushrooms, if that tells you anything. 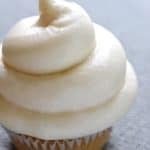 And have I mentioned how easy it is to make? I’ve said it before and I’ll say it again, but recipes that start with a pound of ground beef are one of my go-tos on busy weeknights. 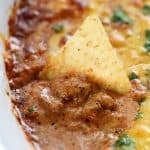 I always have ground beef in the fridge or freezer, meaning I can almost always throw together a dinner in 30 minutes or less. This one is no exception. That being said, I actually started this recipe out by cooking the mushrooms before the beef. I sauteed them along with several cloves of minced garlic until the liquid had evaporated and the mushrooms were tender and golden brown. Once cooked, I transferred the mushrooms to a plate and added the ground beef to the pot. I browned it, added all of the seasonings, stirred in some flour, and then poured in the beef broth. Then I simmered for about 5 minutes to allow the sauce to thicken before stirring in sour cream, fresh parsley, and the mushrooms I’d cooked earlier. Seriously, y’all…how easy is that?! 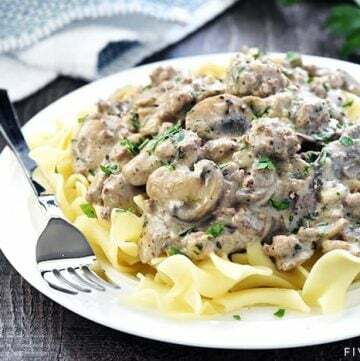 Served over golden egg noodles and sprinkled with more fresh parsley, this Ground Beef Stroganoff is the epitome of simple, scrumptious comfort food. It makes a perfect family dinner but it’s also delicious enough to serve to guests. I guarantee that everyone will be fighting over the leftovers…if you’re lucky enough to end up with any! 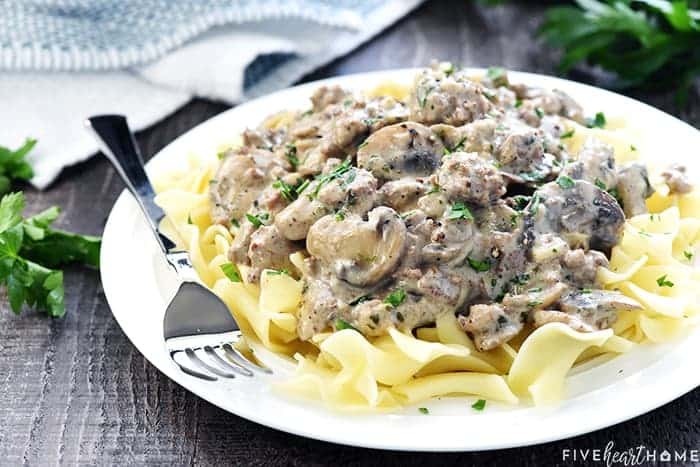 So join me in celebrating the arrival of fall with a hearty dinner of Ground Beef Stroganoff. It ain’t pretty but boy is it tasty! I feel certain that you’re going to love it as much as we do. 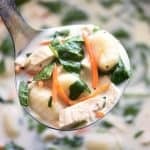 You could make this recipe in a big skillet, but I actually prefer cooking it in a deep pot or Dutch oven instead because it reduces splatters and is just less messy overall. Feel free to swap out the white button mushrooms for something “fancier,” such as cremini. 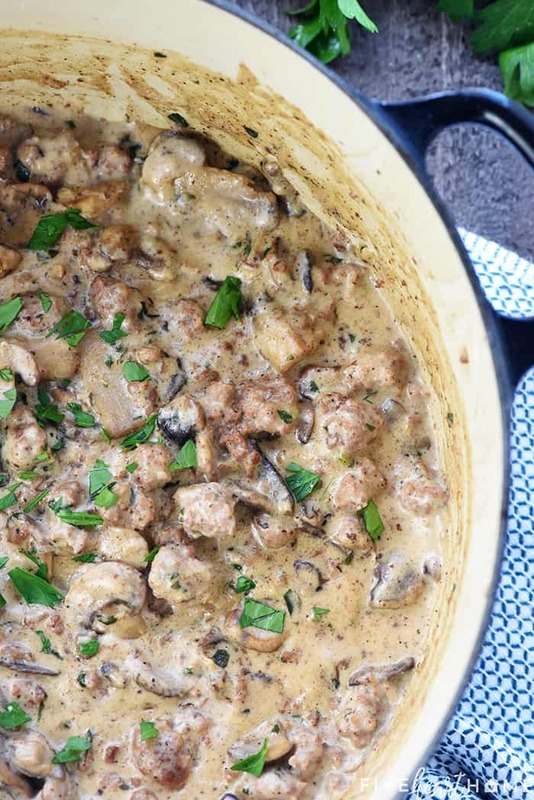 I actually used a full 16 ounces of mushrooms when I made this recipe because I love ’em. Or you could use just 8 ounces if you prefer. Just remember that you may need to adjust the sautéeing time for the mushrooms if you decide to use more or less. If you like, you can skip the butter and sauté the mushrooms and garlic in 2 tablespoons of extra-virgin olive oil instead. For the beef broth, I often just use water plus Organic Better Than Bouillon Beef Base. But since it’s salty, I always taste the recipe and stir in additional salt at the end only if needed (rather than adding a pre-measured amount of salt while the dish is cooking). 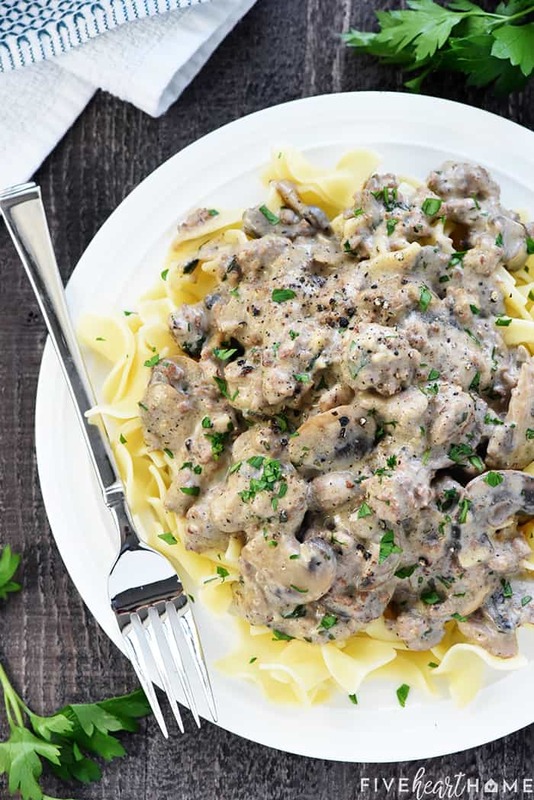 If you prefer to turn this into a complete one-pot recipe, you can cook your egg noodles directly in your stroganoff instead of boiling them in a separate pot. Just double the amount of beef broth and stir in 6 ounces (about one-third of a 16-ounce bag) of egg noodles. Bring to a boil, reduce to a simmer, cover, and cook for 10 to 15 minutes (stirring occasionally), until the noodles are tender and the sauce is thickened. Watch the liquid and add a bit more broth if the noodles absorb all of it before they’re finished cooking. 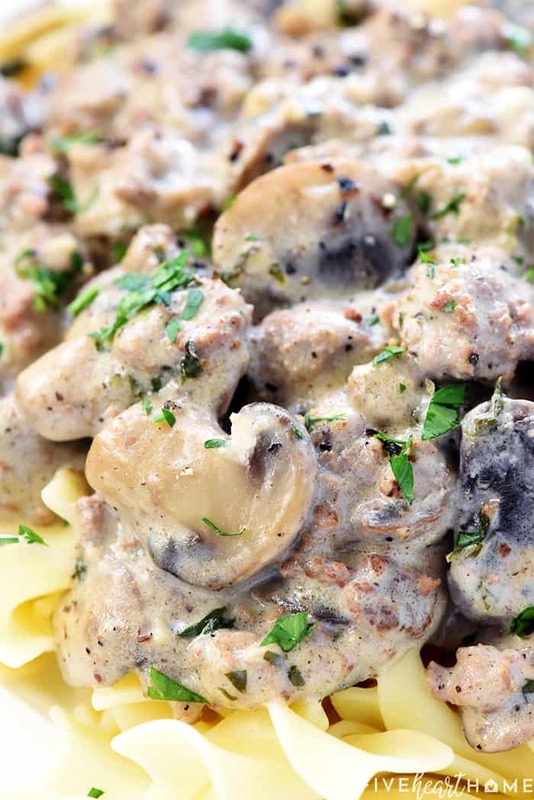 After the noodles are done, proceed with the recipe by stirring in the mushrooms, sour cream, and parsley. Keep in mind that if you end up with leftovers, however, separately boiled noodles will retain a better texture when reheating later. 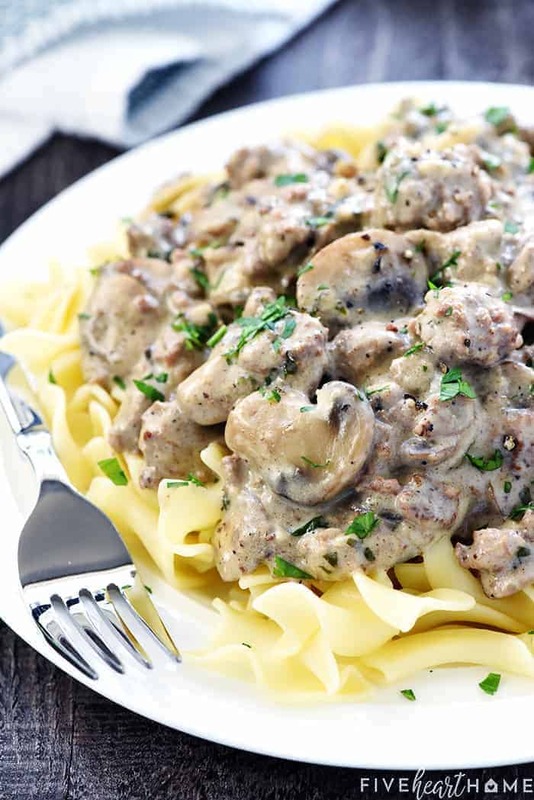 Noodles cooked into the stroganoff have a tendency to absorb all of the extra sauce when it comes to leftovers. Set a large pot or Dutch oven over medium high heat. Add the olive oil and butter until melted; swirl the pan. Add the mushrooms and garlic and sauté, stirring occasionally, for 5 to 8 minutes or until the liquid has evaporated. 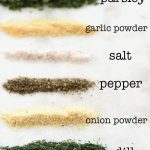 Season with salt and pepper to taste, and transfer to a bowl or plate; set aside. Return the pot to the heat and add the ground beef. Cook until no longer pink, breaking apart and stirring as the meat cooks; drain the grease. Reduce the heat to medium and stir in the garlic powder, onion powder, and Worcestershire sauce. Sprinkle the flour over the beef and cook for 1 minute, stirring continuously. Add the beef broth to the pot, stir to combine, bring to a boil, and reduce to a simmer. Cook for 5 minutes or until thickened. Add the mushrooms back to the pot along with the sour cream and half of the parsley. Stir to combine, adjust the salt and pepper to taste, and cook for a few more minutes until heated through. Serve over hot egg noodles garnished with additional chopped parsley.